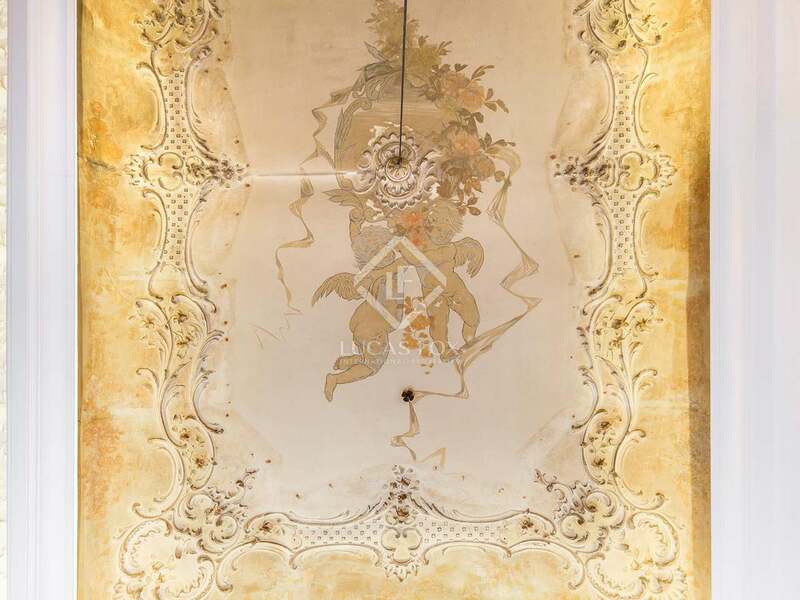 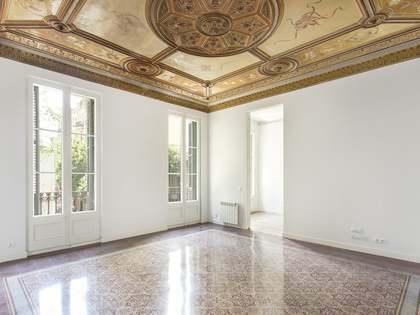 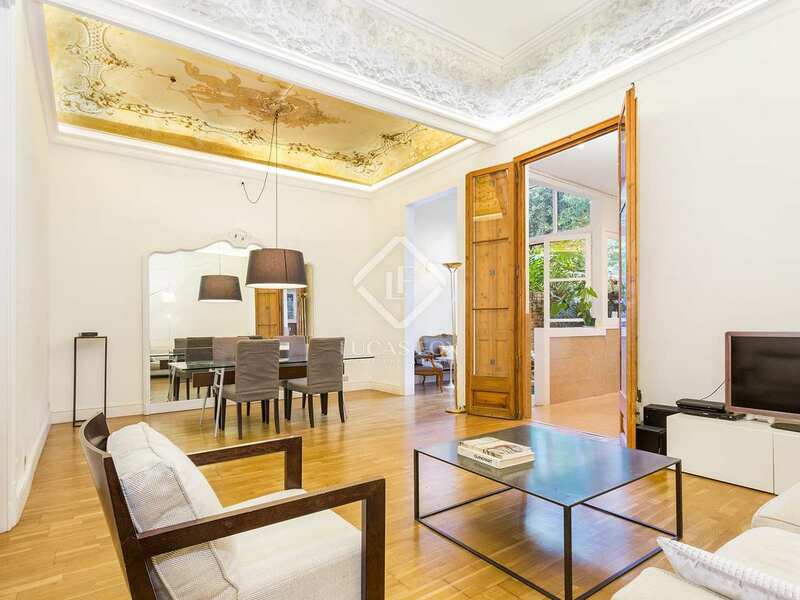 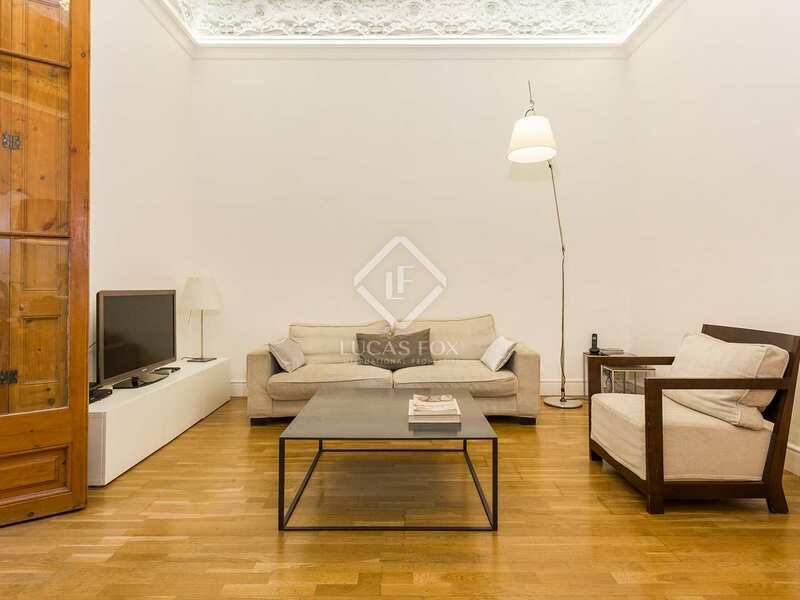 Unique opportunity to acquire this very special ground floor property with a 53 m² walled garden in a listed Modernista building in Gracia. 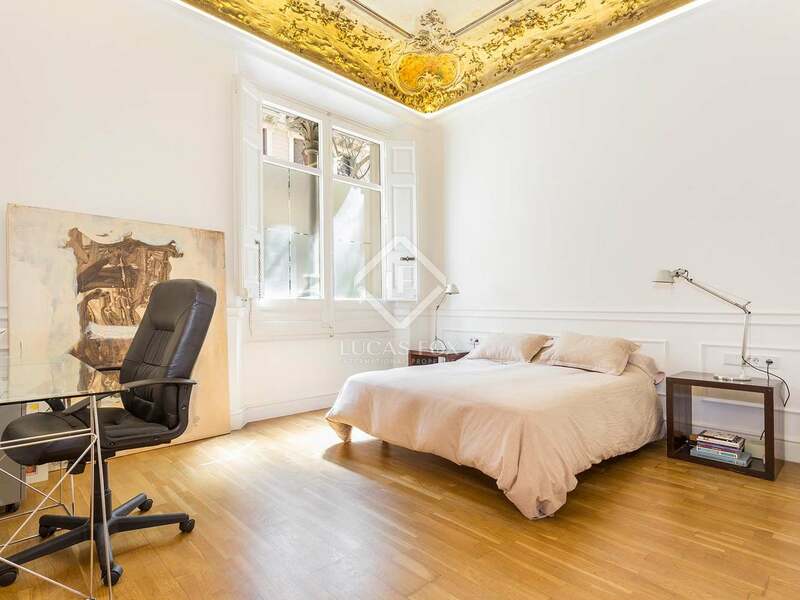 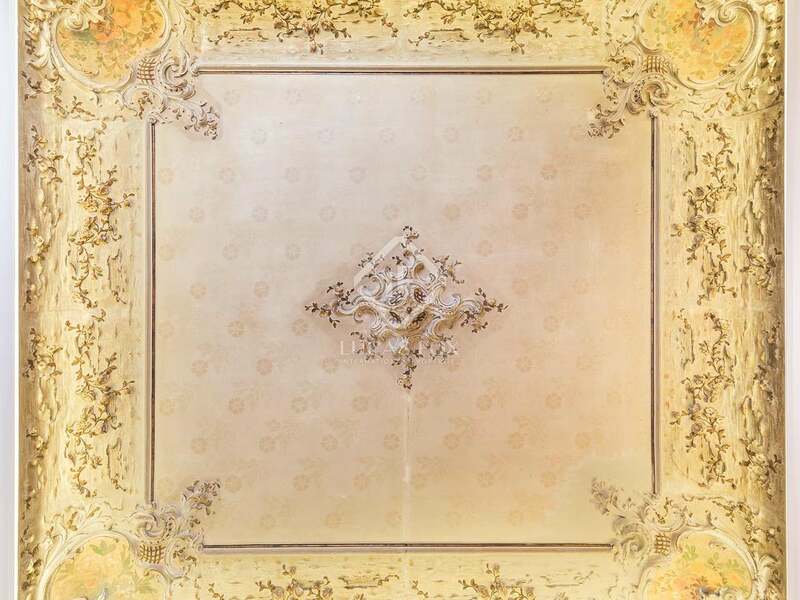 We find this unique ground floor apartment in a listed Modernista building by the architect Domènec Boada i Piera dating back to 1936 with many spectacular, well maintained period features such as frescos, ceiling mouldings and stained glass windows. 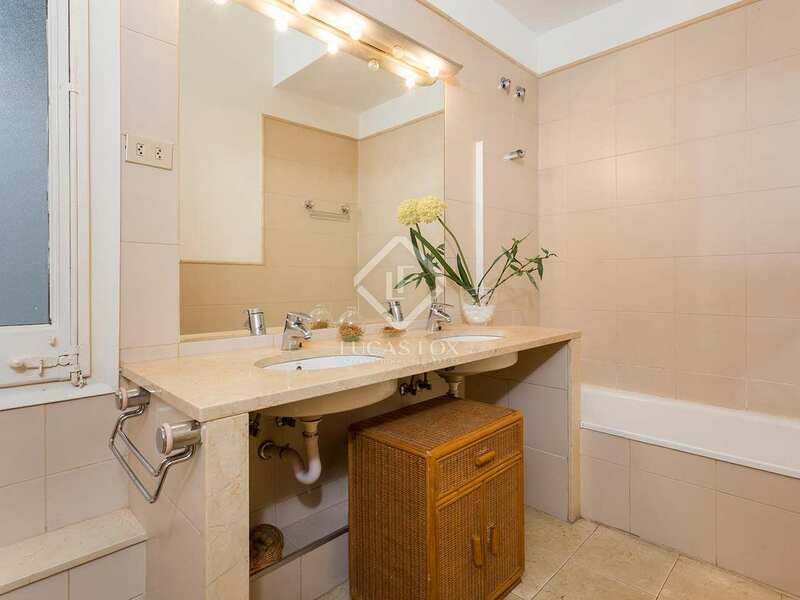 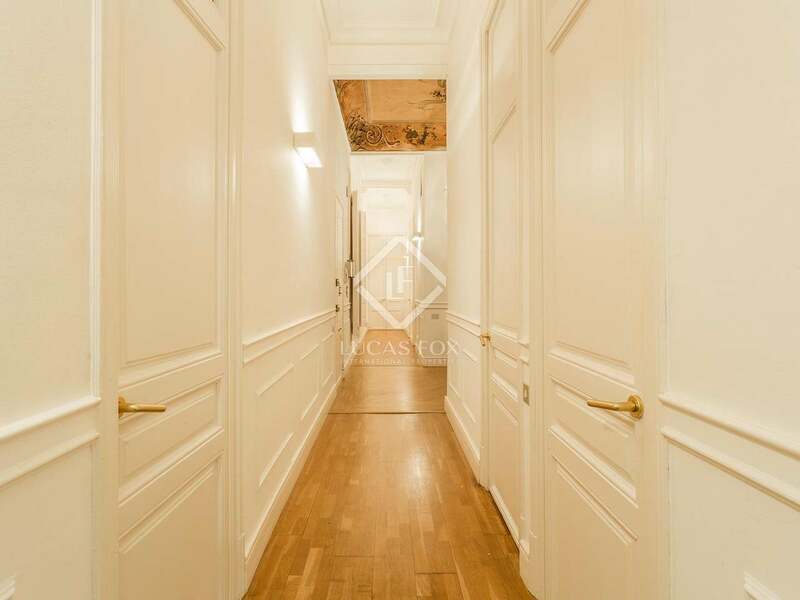 The apartment offers a practical and well planned layout with a total of 4 bedrooms and a dressing room. 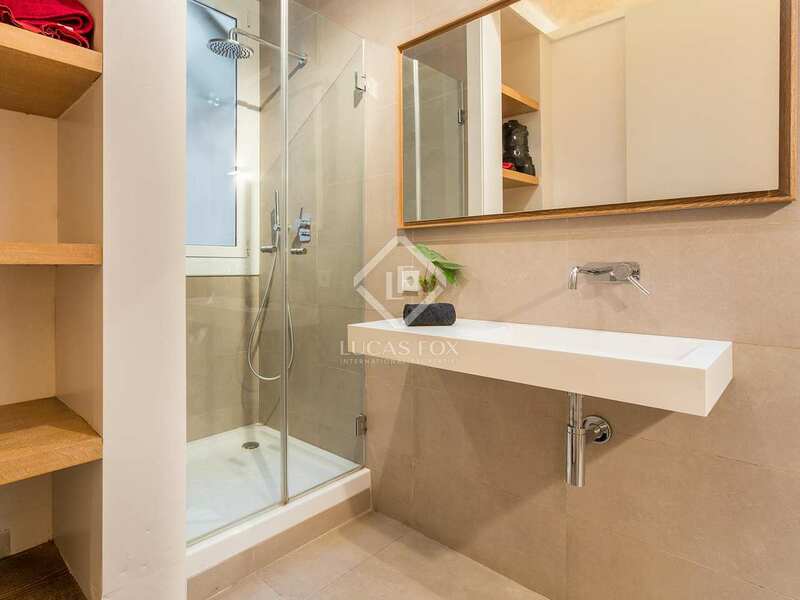 There are 2 complete bathrooms and the wonderful living and dining area with wooden flooring is cleverly connected to the kitchen whilst maintaining clearly demarcated areas for each part. 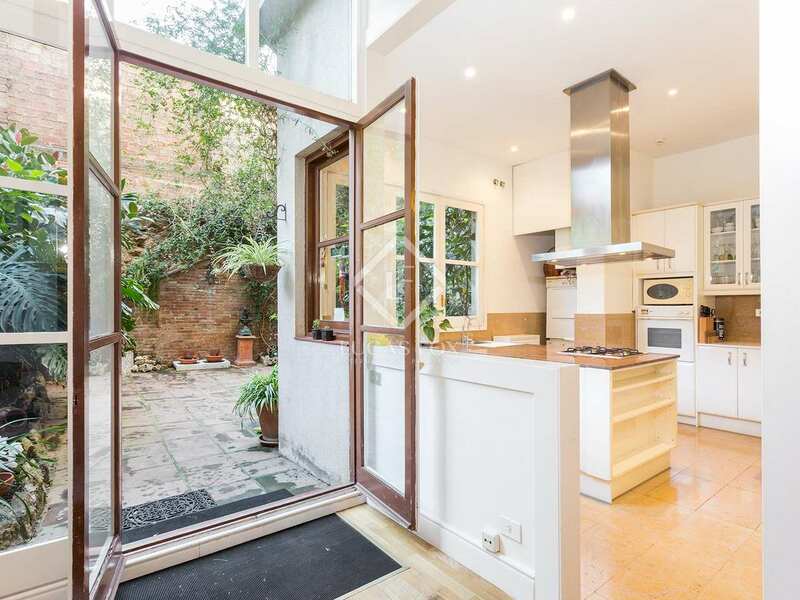 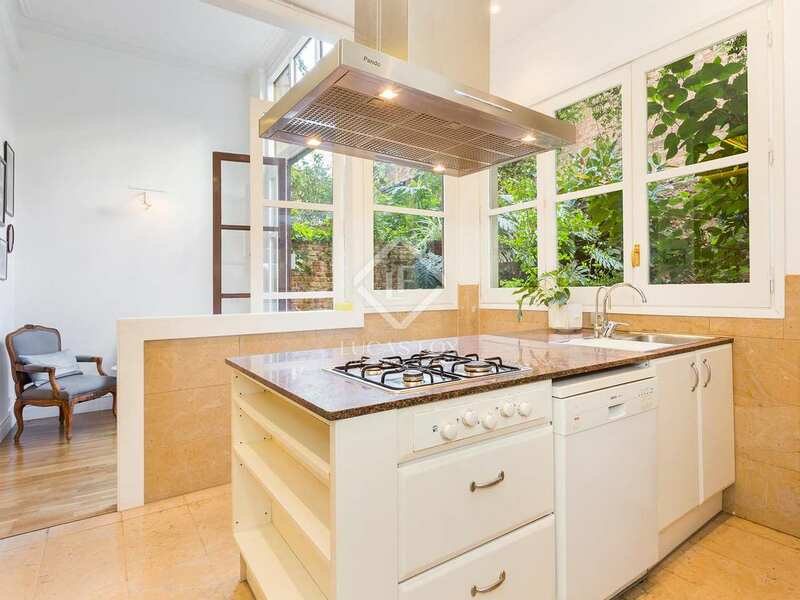 The kitchen is particularly spacious and features a central island and wonderful large windows overlooking the garden. 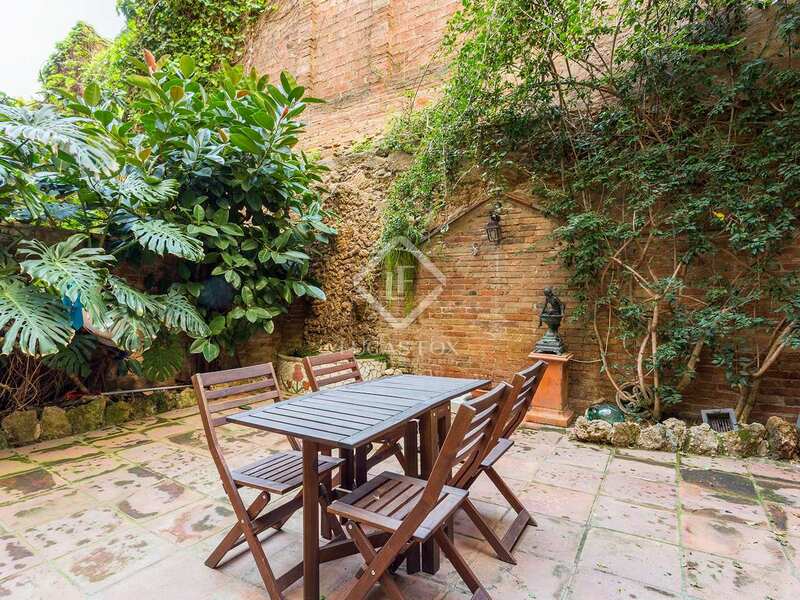 The hidden gem of this property is its wonderful 53 m² walled garden which is accessed from the living room and kitchen and features a stone fountain with goldfish and plenty of space for outdoor dining and relaxation. 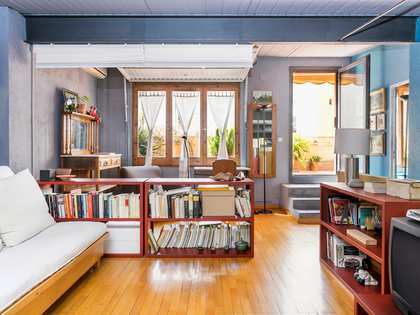 What's more, there is a cellar or storage room on a lower level. 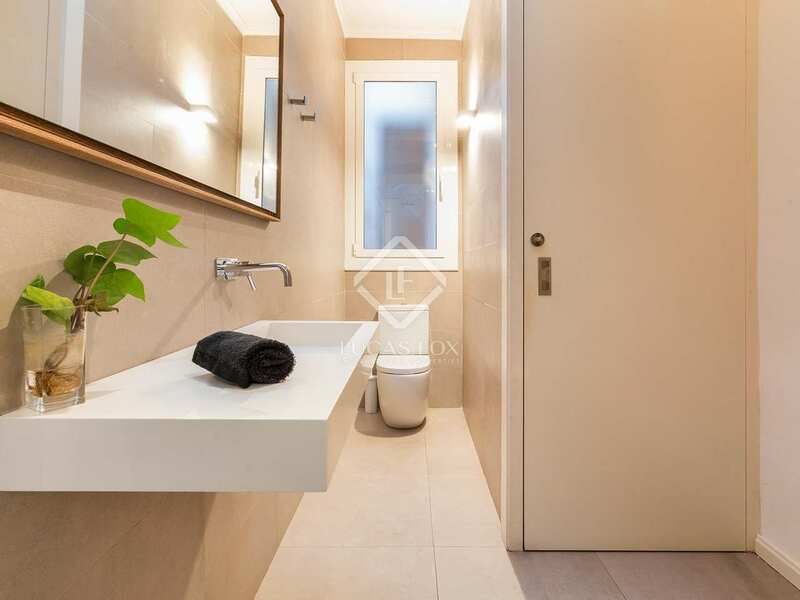 The property appears in the Nota Simple as having a built area of 142 m² although floor plans show a built area of 166 m² approximately, including the cellar plus the patio of 53 m². 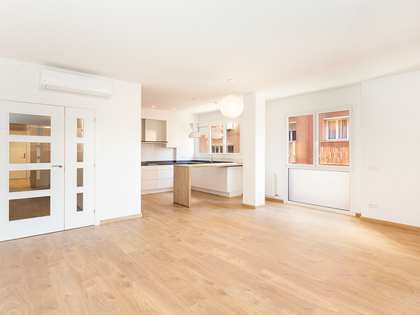 The underfloor heating keeps this property warm in the winter and the interior design and décor is elegant and subtle, combining harmoniously with the stunning period features- The ceilings reach as high as 3.75 m and the door frames are as tall as 2.90 m.
The property is close to the Swiss School and within easy reach of other prestigious international schools. 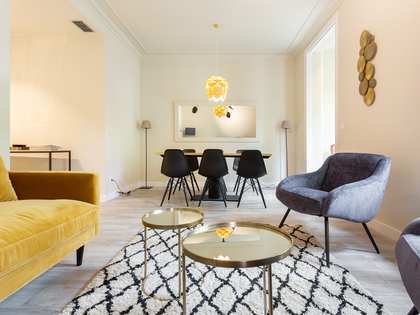 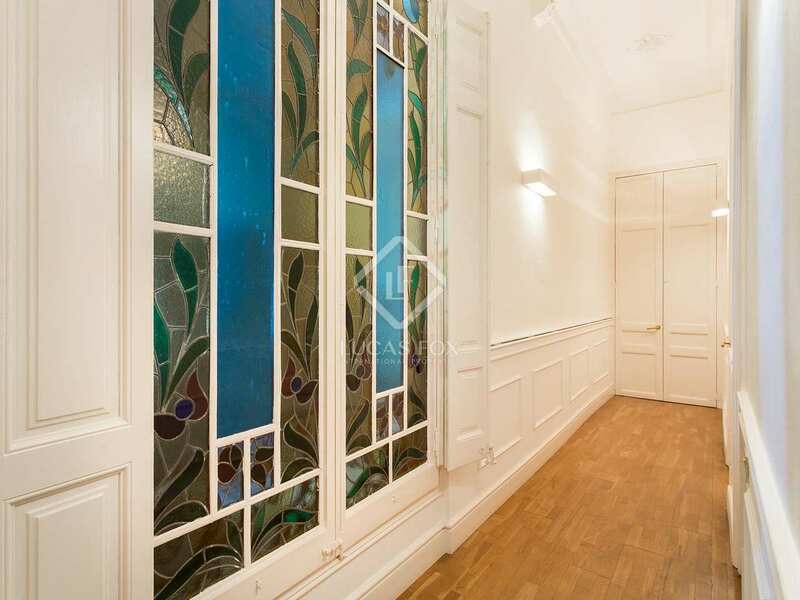 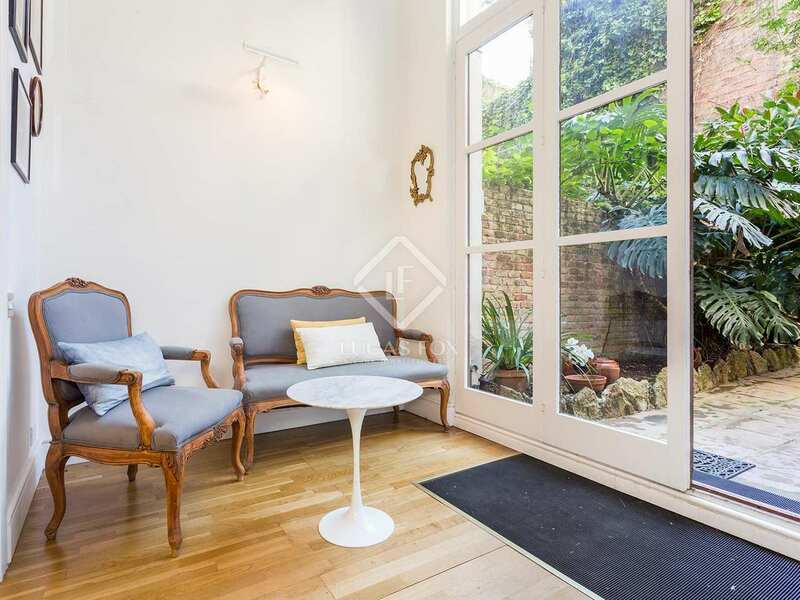 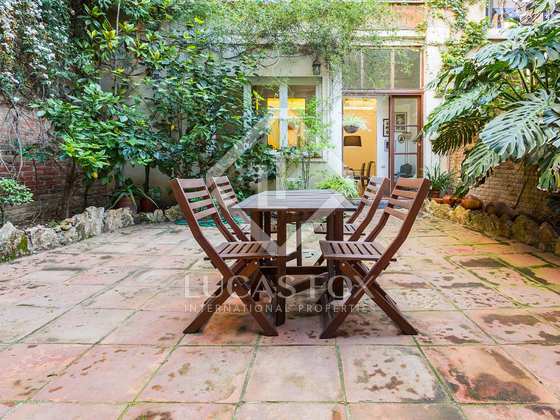 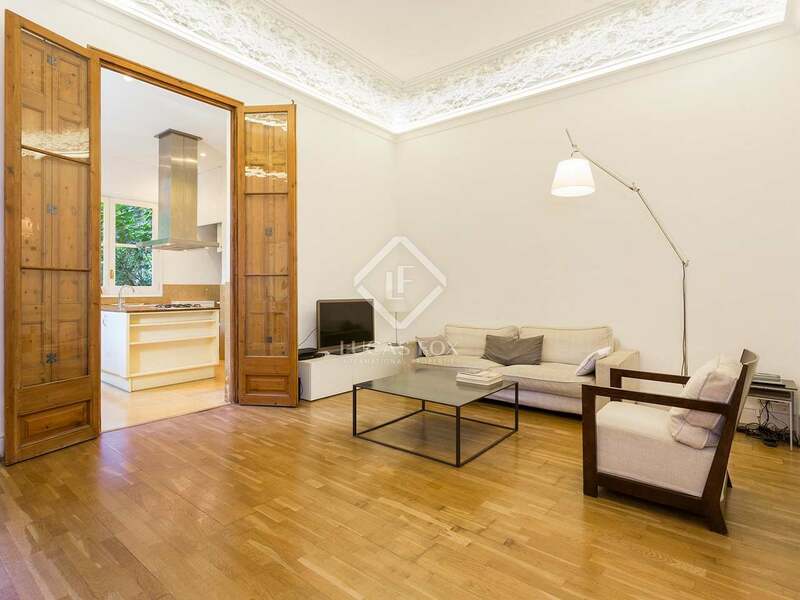 With a market, library, cinema and an abundance of shops and cafes practically on the doorstep, this charming traditional-style apartment with its own garden is the ideal place to experience Barcelona's enviable lifestyle. 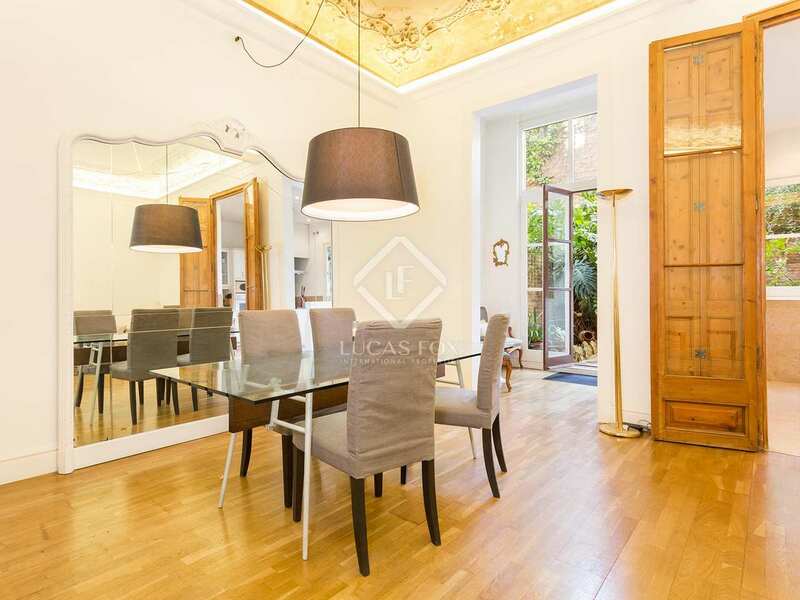 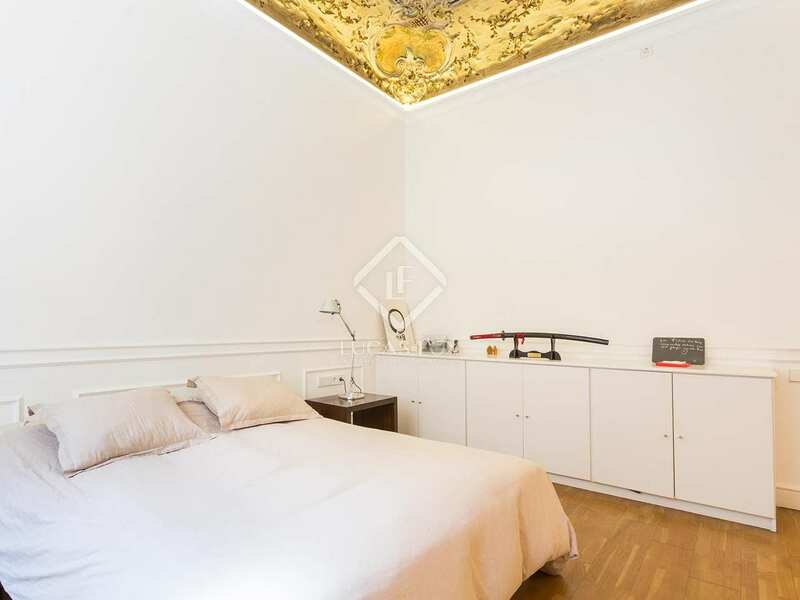 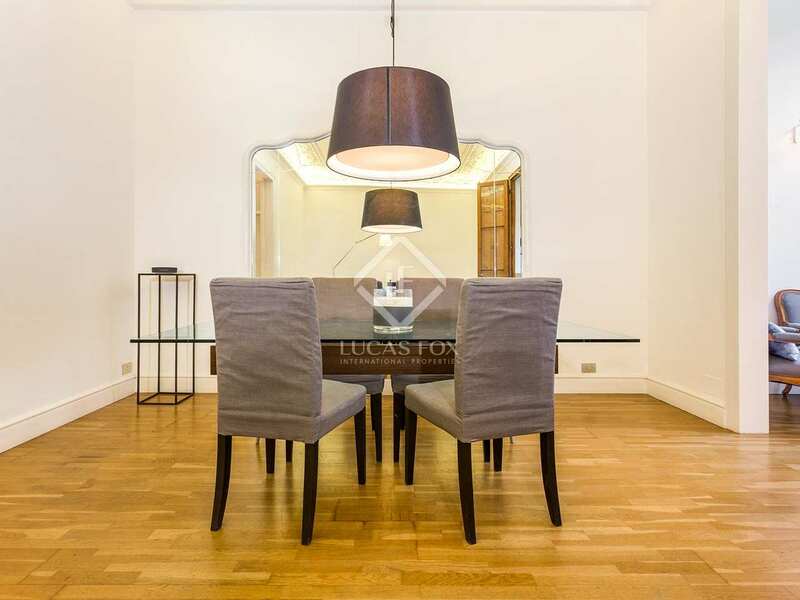 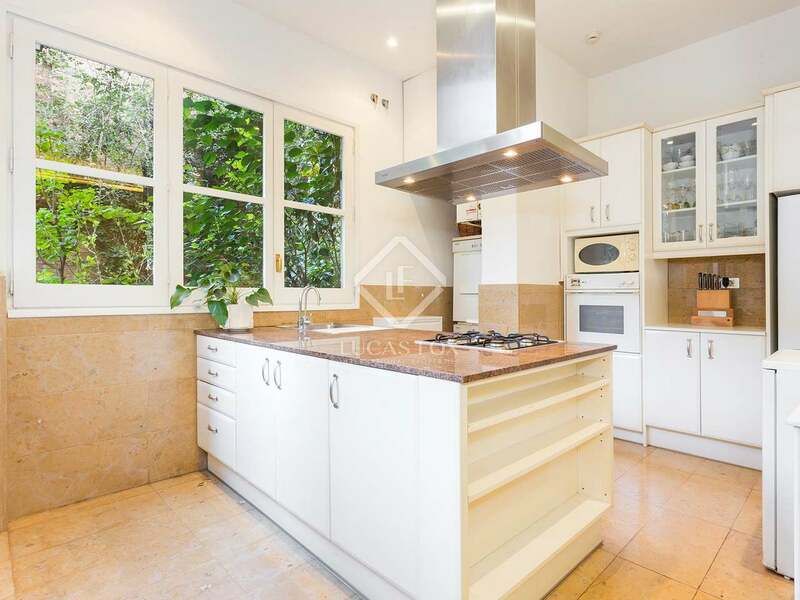 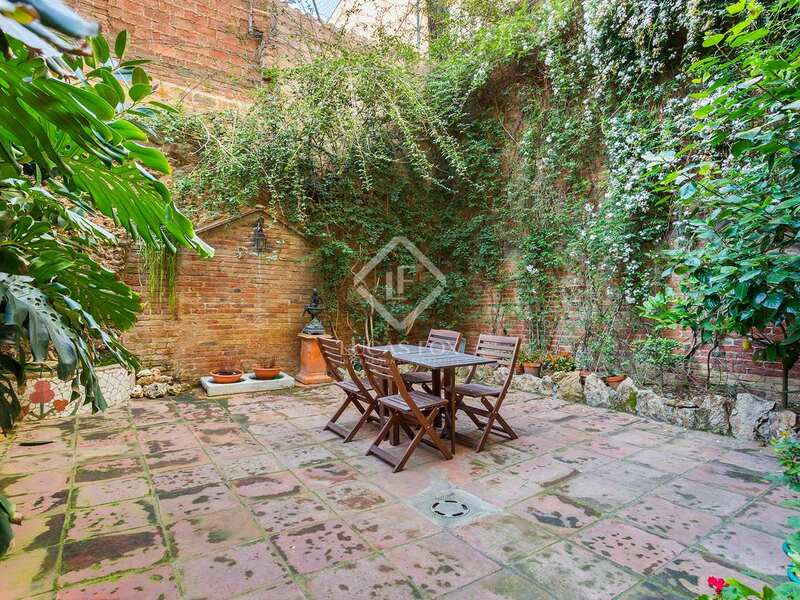 Property in an unbeatable location on a peaceful and exclusive street in the Gracia neighbourhood, bordering Sant Gervasi. 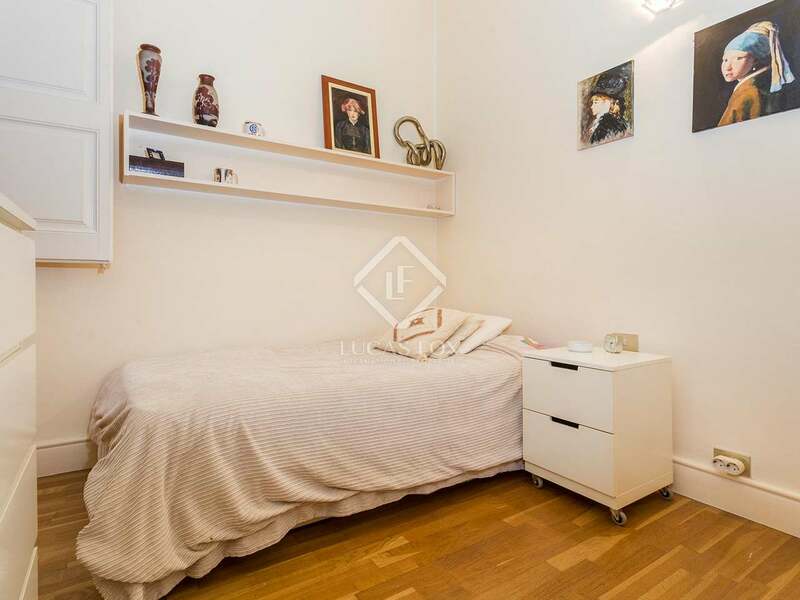 The nearest metro station is Fontana and the FGC Gracia train station is also very close to the apartment. 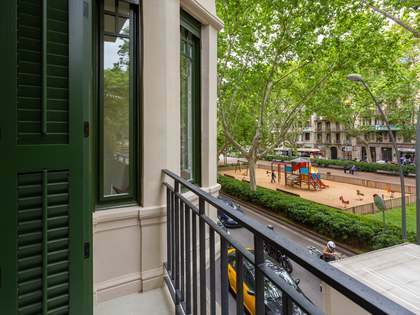 Plaza Molina is very near with bus stops for lines 22, 24, V17, 87 and 114. The Bosque cinema is on the same street and Gala Placidia, Via Augusta, Gran de Gracia and Asturies are all very near the property.